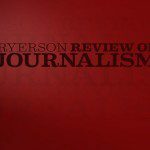 Blake Eligh was the Managing Editor, Production for the Spring 2003 issue of the Ryerson Review of Journalism. Papers are publishing increasing numbers of advertorials. Is the credibility of the dailies taking a backseat to revved-up revenues? The newsroom was afraid of losing reader trust. “If you see a reporter’s byline on copy that is not generated on its news merit, but is assigned as an advertising initiative, readers could believe, because they recognize the byline, that this is news,” Reid says. If forced to produce advertorials, Record staffers wanted bylines and photo credits pulled from the pieces, along with those attached to any legitimate editorial work published on the same day. In the end, Record brass solved the problem as many other Canadian papers did, by assigning advertorial duties to the advertising department, not the newsroom. Advertising and editorial stayed separate, but it took a union contract to keep the wall intact. These days, reporters are generally exempt from having to write advertorial copy, but that hasn’t stopped the ad format from steadily encroaching on the pages of Canadian dailies. Newspapers depend on advertising dollars to help cover the cost of delivering the news-subscriptions amount to just 24 per cent of any newspaper’s revenue. But papers must do better than break even-more advertising means more profit, and more profit keeps fickle shareholders happy. To win coveted advertising dollars, papers provide all manner of ways to promote a client’s message. Old standbys are display advertisements or run-of-paper (ROP), classifieds, inserts and flyers; more recent marketing innovations include belly bands, sticky notes and printed poly bags. But there is another species of niche advertising that stealthily inhabits the pages of the paper. Though they’ve always been around in one form or another, advertorials have been appearing in increasing numbers of Canadian newspapers since the beginning of the 1980s. Disguised in the skin of an editorial article, advertorials are “added-value advertising,” encouraging the reader to take a closer look at the product or cause promoted by the advertiser by providing something extra to read. When advertorials look so much like the real news, it can be tough to tell the ad from the Ed. Marketing reps rejoice, but reporters fret about integrity. The supplements can mean big money for newspapers, but at what cost to credibility? Advertorial finds its way into the paper in many guises-as a single ad, a full-fledged article or a stand-alone section. Sometimes a single advertiser will sponsor a section, then sell ad space within to other advertisers with a common interest. The unifying factor is a soft tone and a layout designed to look just like the regular news. Content may come from editorial staff, from freelancers hired by a paper’s marketing department or from an outside source hired by the advertiser to design and write inserts. Fall and spring are the busiest seasons, with trade expos and nonprofit funding campaigns in full swing for typical advertorial clients like drug companies, hospitals and charities, various levels of government and business interest groups. Newspapers print advertorials not to inform the public or carry out a democratic duty, but to make money, plain and simple. Though ROP advertising is more profitable than advertorials, the lousy economic climate of the last two years has forced the dailies to scrounge for new advertising clients. Comparatively cheap advertorial rates allow papers like the National Post to court unusual advertisers and reap the profits. At thePost, a six-page advertorial supplement like “Weld Expo Canada,” sponsored by the Canadian Welding Association, brings in about $96,000-a paltry sum compared to the $315,858 six ROP ad pages would have earned-but the CWA isn’t a likely ROP client. Newspapers risk the ire of their newsrooms because even small advertorial contracts are worth the effort. The price of newspaper advertorials differs from paper to paper, depending on certain variables, such as the number of pages in the section and the use of colour. Saturdays are often the most expensive day to run an advertorial and the wider the circulation area (from local to multimarket or national distribution), the higher the price, and the higher the paper’s profits. Toronto Star‘s special section administrator, Mary Tezak, estimates that a 24-page, full-colour multimarket advertorial would garner about $340,000. Advertorials alone bring in millions of dollars annually to the Star‘s advertising department. “We’re using more and more Mass Impacts (see sidebar) these days,” Tezak says. Many advertorials run as stand-alone sections, although Globe and Mail advertisers have the added option of buying feature pages in the interior of most editorial sections. 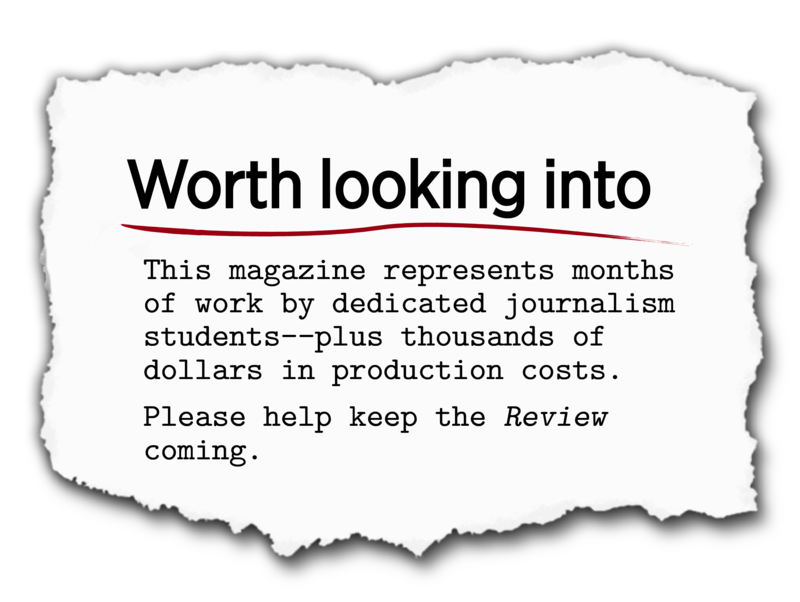 The average advertorial feature earns theGlobe between $18,000 and $145,000. For stand-alone sections like Special Interest or Partnership Marketing Supplements, the Globe charges between $74,000 (for a six-page Metro edition) and $253,000 (for a 20-page National edition). The sections are definitely profitable, and most reporters don’t fault the dailies for trying to make money to support their untainted reporting. What reporters do mind is the often-lax labeling of advertorial sections designed to look like editorial product. While most papers have policies about differentiating advertising, including rules about layouts and fonts, an informal survey of several month’s worth of advertorials showed that there was little consistency in the application of those rules. While the Post harbours them in the newsroom, the Star keeps advertorials out of the building altogether, contracting the work out to a former Star employee who finds freelancers, edits the copy, lays the section out and sends it to press. The Globe and Mail is somewhere in the middle. There, the ad department designs the advertorials and contracts out the writing to freelancers. Advertorial writing is usually assigned on a freelance basis. 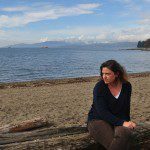 For many writers, it can be a plush gig in an industry that has paid about $1 per word for journalism content for more than 20 years. Ellen Cohen loves advertorials. After 30 years in the newspaper advertising business, the Globe‘s director of advertising sales is not the least bit defensive about the sections. She says she often saves advertorials that interest her, like “Women’s Health,” stashing it on the coffee table in her den so she can read it thoroughly when she gets home from work. Cohen believes that the editorial department loves advertorials, too. “I believe it lets them focus on what they need to focus on. The rules are laid out, keeping church and state-editorial and advertising-very clear. It’s healthy and it adds content,” she says. Cohen is wrong about the editorial attitude to her department’s special sections, but she can be forgiven for misreading her colleagues’ feelings on the touchy subject. Though many editors and reporters willingly admit that they hate the sections-“They cheapen us all,” one editor grouses-they were reluctant to go on the record for this article. “I would rather not be associated with any negative comments about them, because I don’t want to lose my job,” another editor warned. At many papers, union contracts clearly outline policies about newsroom participation in advertorial production. Reporters who don’t want to write are often protected by newsroom collective agreements. 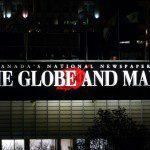 At theGlobe, the Communications, Energy and Paperworkers Union of Canada contract says that the writing and editing of advertising copy is not the duty of the editorial team. The Halifax Chronicle-Herald forbids any editorial employee to write, take photographs or edit/lay out advertising product. Other papers allow editorial staff to do advertorial work, but only on a voluntary basis and at freelance rates. In 1989, the Star staff worried that advertorials would confuse readers and damage the paper’s integrity. While they managed to negotiate a contract that protected the newsroom from advertorial encroachment, their worries reverberate still in newsrooms across the country. Readers depend on newspapers for all kinds of information: on advertisements for consumer information so they know where to buy a car or when to see a movie and on a paper’s editorial content for news and information critical to their democratic rights. So what happens when advertising looks like the news? In the past six years, Advertising Standards Canada has received fewer than five complaints about advertorial deception. What does that say about readers? That they don’t notice the difference? Or they don’t care? 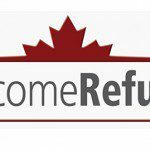 Who’s telling the truth about #WelcomeRefugees?